I often hear people say they are ready for whatever Mother Nature has to throw at them this winter because they have a 4×4. They reckon extra ground clearance and all-wheel-drive is enough to get them out of any situation they might encounter. Then I get my phone out and show them a clip of a big, rough and tumble SUV getting stuck on an icy road hopelessly spinning its wheels, and they realize there is more to weathering the winter on the road than just than ride height and extra differentials. That is why even if you own SUV you need to take some time winter-prepping your car. And the first thing you need to invest in is a set of good winter tyres. Unless you are lucky enough to get a bespoke off-road package with your SUV which includes chunky 30inch tires, you are going to need winter tyres because you can’t rely on the standard rubber on your car to deal with low-friction surfaces of which there plenty in winter time. Most SUVs these days are built as jacked-up saloon cars. They come as standard with low-profile street tyres that are now good on a light trek across a green field, let alone tackling roads covered with a thick sheet of ice and driveways blanketed with snow. This is applies doubly to sedans and other family cars. Due to their nature they need winter tyres above all else if they are to remain workable throughout the cold season, and work with optimum safety and comfort. Family cars, as their name clearly suggests, are for driving your kids around and do shopping stuff. So it pays to invest in a proper set of tyres to make sure there is less chance of getting into an accident because your standard tyres are too void of grip to keep the car in check. Do not trust the safety of your family in your own driving skills alone! As for other less vital, but still pretty important, things you can do to improve the safety of your drive this winter, the list begins with the routine checks of your car’s fluids. You want to make sure there is antifreeze in the radiator and the window washer fluid is replaced with a winter-grade version. The latter may seem trivial, but it is terribly important as it has to do with visibility. What’s more, in winter the roads are often covered with mud and grime, which get thrown into the air and stick to your windscreen as you drive behind other cars. So that’s something to be mindful of. So go as far as changing their oil with a winter-grade model. But as long as you live in the arctic that is not really necessary. Having a proper winter supply box in the car could also become handy, especially if you travel long distances. What you want to keep in there besides the usual tools, include a high-visibility jacket, hat, gloves, flashlight, blanket, a good lighter, water bottles and high-calorie food stuff like chocolate. As for the tools that you may find useful, sturdy ropes for giving or receiving a tow would be a good thing to have, as is a machete or a small axe to clear away braches and the like blocking the path, and of course, a trusty shovel. You can use the shovel to dig out your car should it get stuck, or to clear the path of snow. If you have got yourself some good winter tyres you probably don’t need this, but having a set of snow chains could prove useful. Even if you don’t use them yourself, you will sure encounter an unprepared motorist who could definitely use them! Another important thing to consider regarding your tyres is the air pressure. As a general rule, winter tyres should be set at 0.2 bar above the summer tyre recommendation. Make sure to check them regularly. Haulers and truckers require disc brake pads that meet their driving needs. The trucks require perfect brake usage according to rules set National Highways and other authorities. An important part of the braking system is disc brake pad which provide consistent braking to the vehicle to stop it within safest range even at high speeds. Truck disc brake pads are made of different materials by different vendors. You should choose the one recommended by your company for your vehicle. Choose truck disc brake pads made especially for vehicles that have power like trucks and SUVs and have the new standards of brake performance. The brake pads must have low dust ability and that had been tested in the rugged most environments. There are some brake pads which are sturdy enough to stop the vehicle by almost a distance of 50 feet from 100 miles per hour speed. It should have the qualities to improve your braking system. The next property to look at while shopping for truck disc brake pads is to see the usability. Buy something that can last at least for 3000 kilometers. Once they get worn out you can heat the ‘chirp’ sound that the truck makes in cold conditions or during rain. Buy the braking pads that are meant for heavier vehicles! While you buy pads, try to have a look at the selection of brake pads of the trucks to compare their features and warranty. If possible hit online stores to read reviews and compare ratings of truck brake pads to learn more on them and pick the right kind of brake pad. The truck pads that accumulate fewer dusts mean that you have better rotor condition and less rotor wear. The rotors will last long and save a great deal of money in maintenance of vehicles. And remember one thing; if you are an expert then there is no issue of installing truck disc brake pads yourself. But never try to do it simply watching some videos in Youtube or other places. Even if you do, make sure that you install the pads in presence of a professional mechanic or some one who is expert in this. The mechanic must be qualified for installing heavy duty truck disc brake pads. If you ever replace rotor make sure that you replace the pads too. It is useless to use worn out or old pads for your new rotors. Such use of disc brake pads will affect the rotor and performance of brakes and plying. 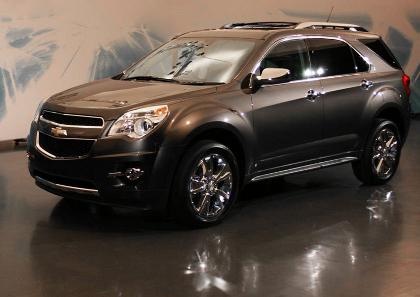 The Chevrolet equinox car 2010 is really spacious than most of the other cars that are available in the market. This is the second generation small SUV car which has much improved facility than the previous editions. The car has been redesigned with many improved facilities which the previous edition didn’t have. This car shows enhanced fuel economy with an engine of one hundred and eight two horsepower. The 3.4 liters V six was replaced by a 2.4 liters four cylinder engine. The up level engine has a horsepower of 264 with 3 liters V six. The price of the Chevrolet equinox car 2010 ranges from 26,350 $ to 31, 780 $ depending on the facilities that is available in the car. Almost all the people who drive this car for the first time have a very good and amazing impression about the car. One of the nice improvements that are noted in the car is the way it handles. Every one feels very much comfortable with the steering. There is also no need for you to turn your body very much in order to turn the car. You will be able to go on for a vey smooth ride without too much of concerns or worry. There is no need for you to be annoyed due to the sound that is produced from outside when you are driving as in some of the other cars that is available in the market. This is mainly because of the four cylinder engine that is used. This engine is very much improved and refined than the previous editions as they do not produce hardly any sound. Most of the people choose the four cylinder engines for their car as this is very easy for the driver to pick up pace in a very short span of time which is lacking in the six speed transmissions. This is suitable when you like to climb the hills or any maneuvers. The average fuel economic ratings for the four cylinder style are about 24 mpg while for the v six is 21 mpg. it is important that you should not believe the advertisements which shows the fuel economic ratings as 32 mpg where even the 30 mark is really a far cry to attain. The finishing and the outlook of the Chevrolet equinox car 2010 are much better and attractive than the current version which is available in the market. But you should be carful when you are handling the sharp edges of the plastic in the Chevrolet equinox car 2010. The seats can be adjusted according to the needs of the people. The interiors are very spacious that is really a great advantage of the car over the others that are available in the market these days. The rear view camera that is available will be of great help to you when you are going to park your vehicle. You will note that the controls are very easy to handle and use which is pleasing to hear for most people. A truck consists of a variety of technical and mechanical parts, but they all have a common framework i.e. they basically consist of a Chassis, a cab for the driver, place for holding cargo, suspensions, axles.etc. A truck is a quite complex machine thus for its proper functioning and efficiency of the truck, it has to be maintained properly so that it meets the emission norms and standards set by the national government. One of the most important parts of the truck’s maintenance is its alignment. 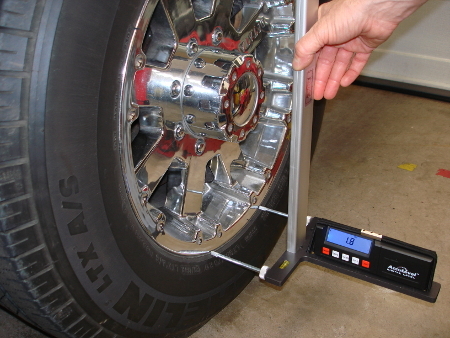 Specific types of tools called truck alignment tools do this alignment. Truck alignment tools are manufactured by various brands like Josam, SPC and Beeline to mention a few. Beeline was the first brand to introduce Laser technology for achieving precise wheel alignment. Beeline also provides advanced aligner Runways. These are multi functional systems, which can be used by Garages, alignment shops, dealer service centers and fleets. These advanced aligners are designed with interchangeable runway legs to accommodate various shop sizes and are available in a number of different models. The market is flooded with hundreds of brands of truck disc brake rotors. If you shop online you will find hundreds of websites popping up. But do you think that you can rely on all for your truck disc brake rotors? Definitely not! You have to be very careful while you choose the brake rotors for your truck. The rotors first of all must be from a popular brand, and secondly the rotors should be of high quality to last long. Given below are few popular brands of rotors. Brembo Brakes: Brembo truck disc brake rotors are available from aftermarket to origin categories. The brand manufactures high quality brake rotors and the company has vast experience of creating brakes for all types of trucks, SUVs and Jeeps. They have more than 1000 variety of products and that’s why they make the widest as well as fullest range of drums and discs on the market. You have both cross drill brake rotors, as well as slotted brake rotors, that provide introductory performance brake solutions to your vehicle. The Brembo truck disc brake rotors both original and aftermarket have the same levels of quality, performance and technology. The company off late has started producing more and more disc brake rotors to meet the needs of widest range of trucks and heavy duty vehicles plying on roads. They rotors come with good warranty and are perfect for heavy duty vehicles that need to stop the vehicle aptly within safe distance. 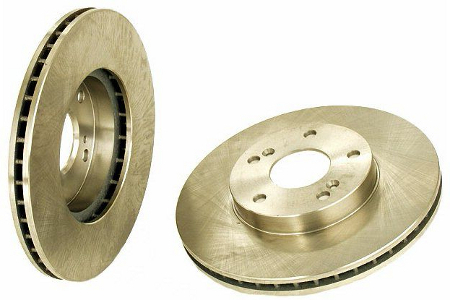 Power Slot Brake Rotors: Power Slot truck disc brake rotors are manufactured for highest safety to your vehicle and they are manufactured for greatest level of tolerance. The quality number one product is the priority of many truck owners. This rotor doesn’t require drilling. Only slotting will do. Drilling actually weakens the rotor and the stress on it may lead to failure or cracking in the brake system. The drilled rotors also lose surface area compared to power slot brake rotors for your truck. This means less active braking facility area for the disc pads to stop the rotor in contact. The brand manufactures truck disc brake rotors with the highest quality replacement blanks and original equipment. They are typically made of porous material and have less cooling fins. Whichever brand of truck disc brake rotors you buy, just keep in mind that you get something that is suitable to your vehicle and riding needs. The brake system must have performance, safety and productivity from all angles. Plus low cost maintenance is an added and welcome feature.